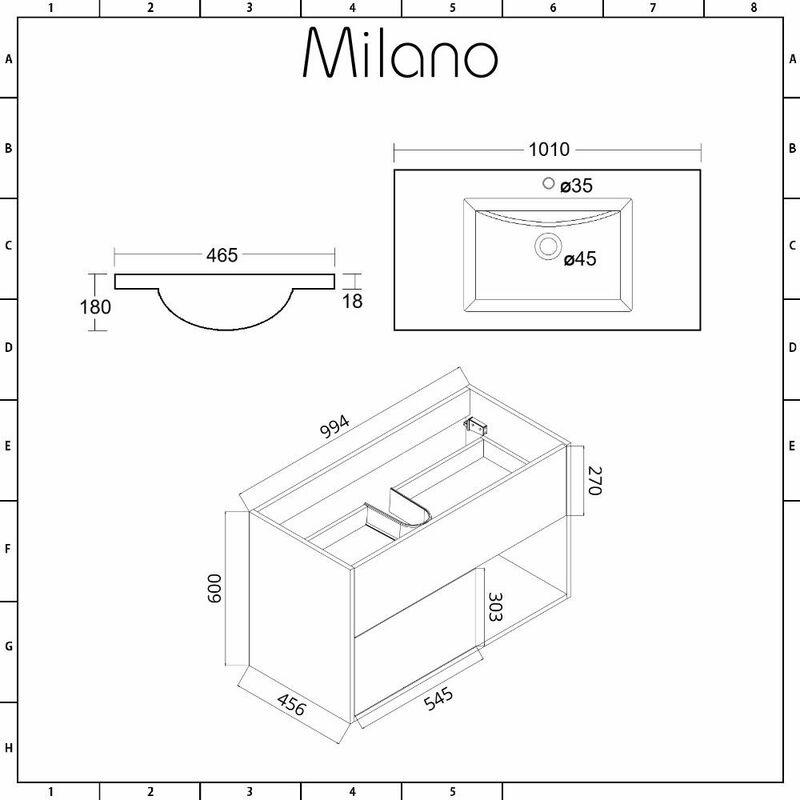 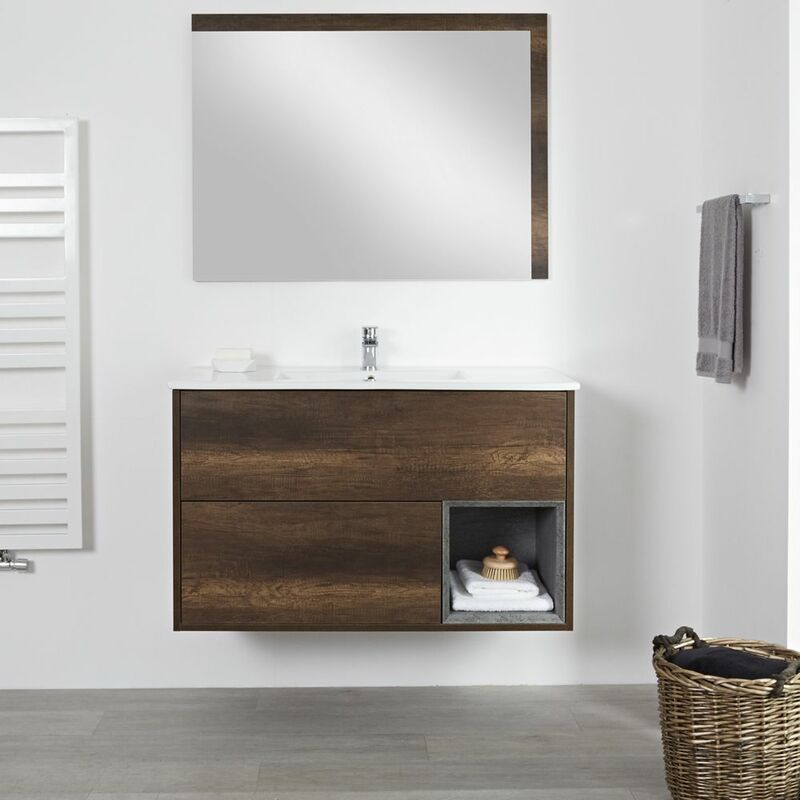 Create a bold new look in your bathroom with the wall-mounted Milano Bexley 1000mm vanity unit and basin. 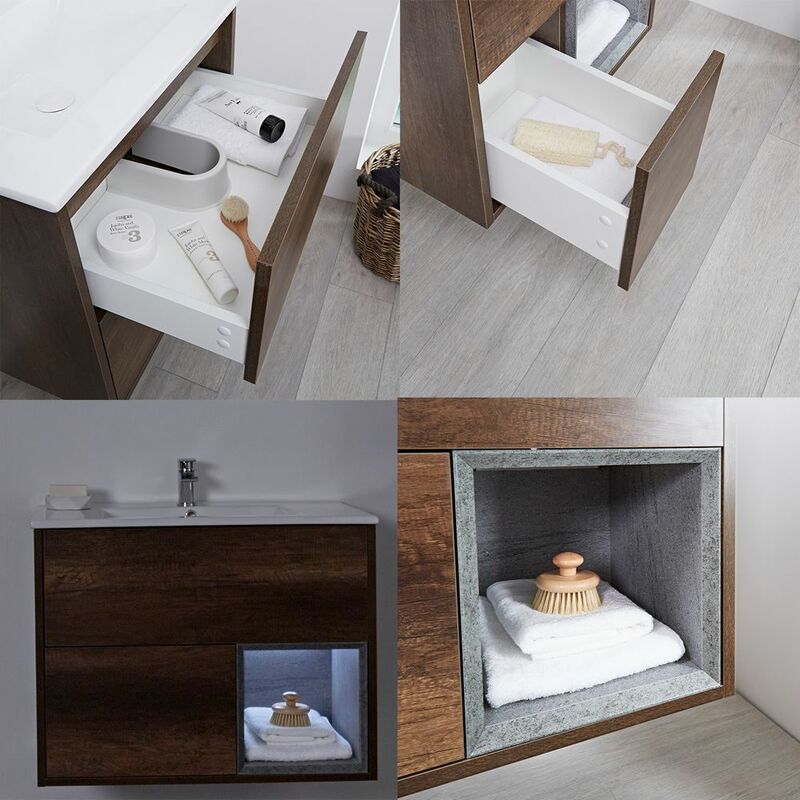 Featuring two push to open soft close drawers and an open shelf, the Bexley vanity unit offers a stylish solution to the storage of your toiletries and beauty products. 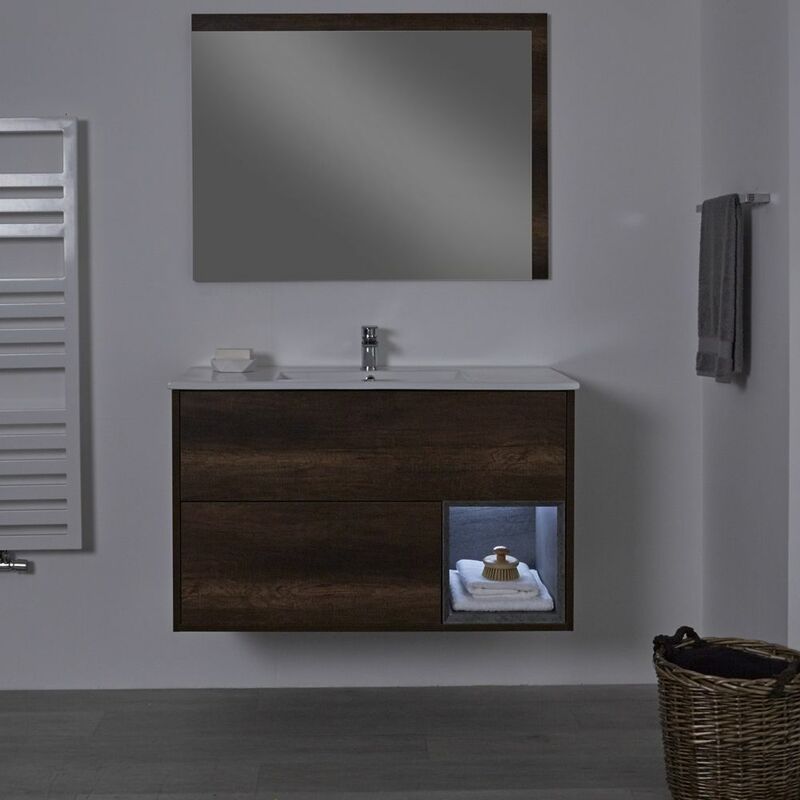 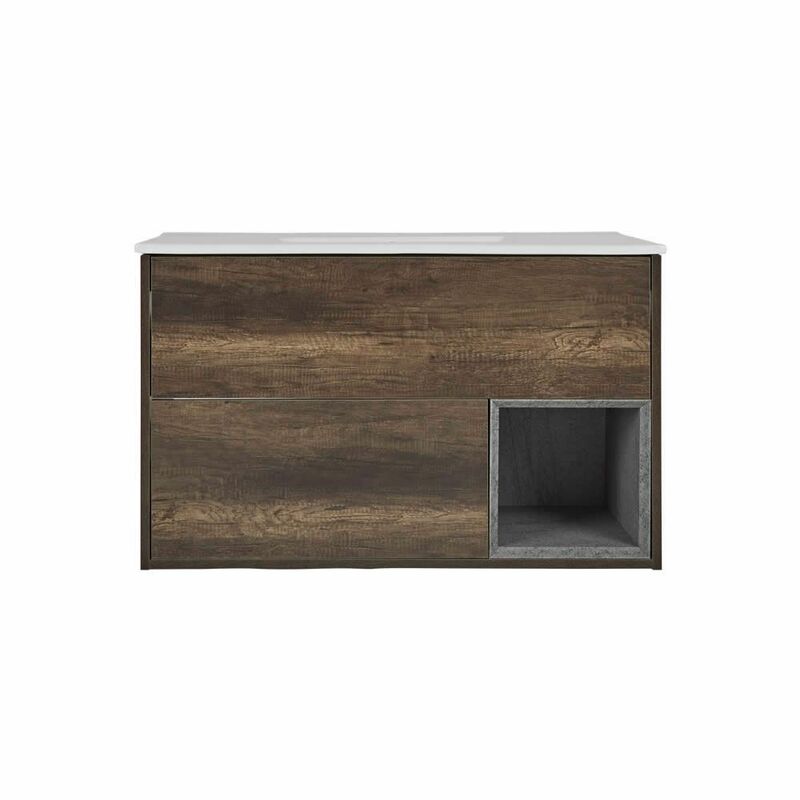 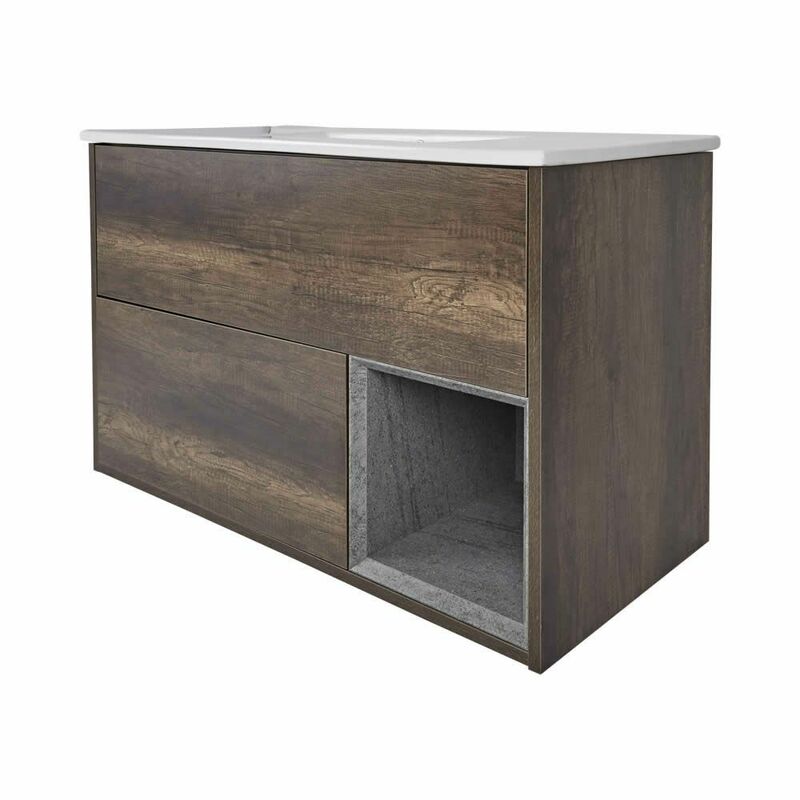 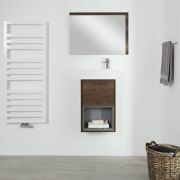 Manufactured from hard-wearing moisture resistant engineered wood with an attractive dark oak woodgrain finish, you can have confidence that this vanity unit has long-lasting durability as well as an eye-catching look. 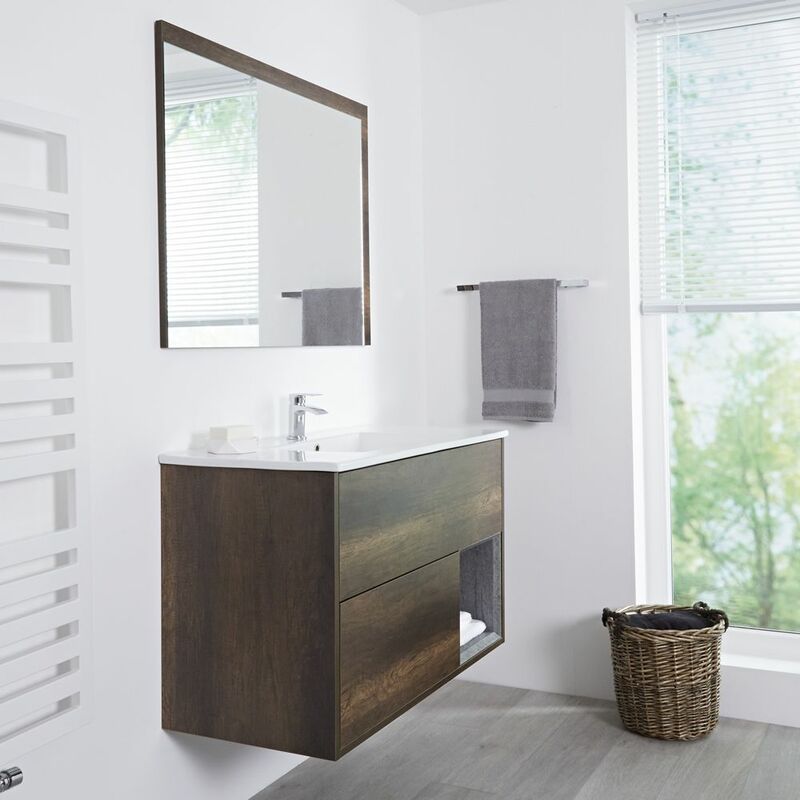 The Bexley vanity unit includes a high quality ceramic basin, finished with an easy to clean white glaze, fitted with a single tap-hole, allowing you the chance to select the mono tap of your choice from our range.